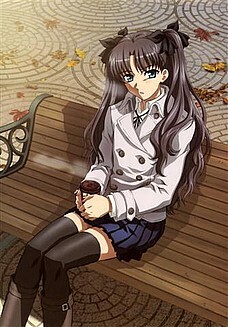 In December 2010, the members and visitors of All Anime World voted for the "Cutest Anime Girl 2010". Collected by email our members and visitors entered 8 girls into the contest. The only requirements: All girls had to be anime characters and may not have won already. Due to problems with our press release we only received 179 votes! *cries* The number is very disappointing. Of all 1200 registered members only 18 bothered to vote at all. A "point" equals one vote of an unregistered member. 28 "points" equal a registered members vote. 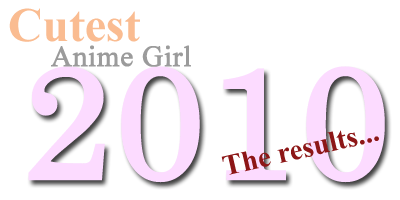 This is now the official accouncement of the winners in our Cutest Anime Girl 2010 contest.